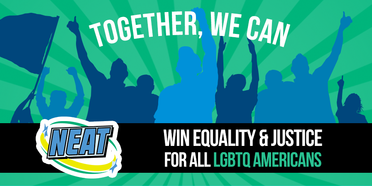 Help win LGBTQ+ Justice... from your couch! Every week, hundreds of volunteers across the country log on to NEAT's online phone bank system and talk to voters in states from coast to coast about issues that advance LGBTQ+ Justice. Public eduction, volunteer recruitment, advocacy, and get out the vote are just some of the types of calls volunteers make. Every shift includes a training session on the campaign, script and technology and NEAT staff provide 24/7 live support during your shift in case of any questions or issues. Check out our current campaigns below and sign up for a shift! Stop Tennessee's Anti-LGBTQ "Slate of Hate"
Can't attend? Sign up for future opportunities.